Given the extreme potency of many herbicides, even minute traces can negatively impact plant health. 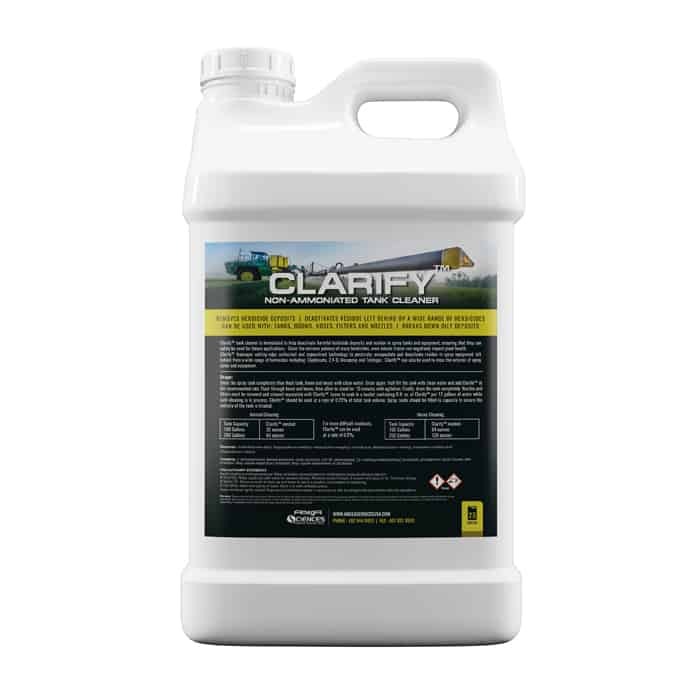 Clarify™ leverages cutting-edge surfactant and sequestrant technology to penetrate, encapsulate and deactivate residue in spray equipment left behind from a wide range of herbicides including: Glyphosate, 2,4-D, Mecoprop and Triclopyr. 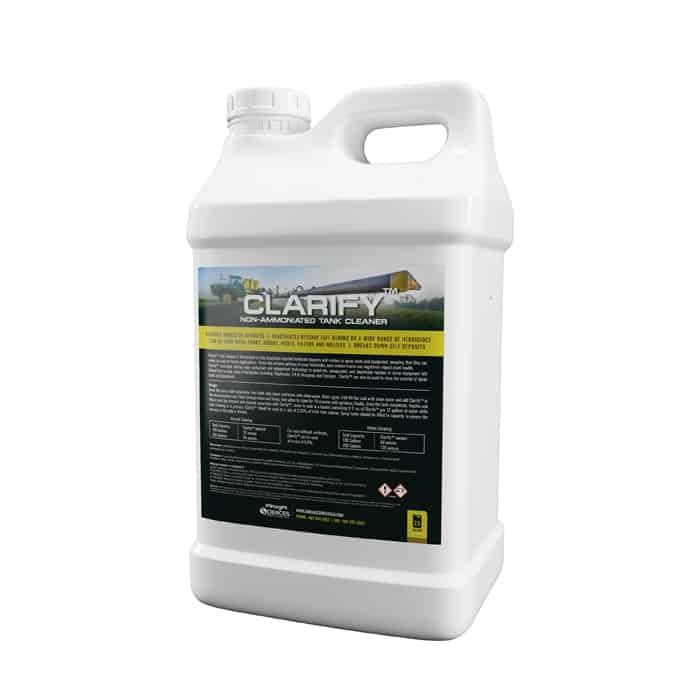 Clarify™ can also be used to rinse the exterior of spray tanks and equipment. Drain the spray tank completely then flush tank, boom and hoses with clean water. Drain again. Half fill the tank with clean water and add Clarify™ at the recommended rate. Flush through boom and hoses, then allow to stand for 10 minutes with agitation. Finally, drain the tank completely. Nozzles and filters must be removed and cleaned separately with Clarify™. Leave to soak in a bucket containing 8 fl. oz. of Clarify™ per 12 gallons of water while tank cleaning is in process. Clarify™ should be used at a rate of 0.25% of total tank volume. Spray tanks should be filled to capacity to ensure the entirety of the tank is treated. For more difficult washouts, Clarify™ can be used at a rate of 0.5%.